Google's exhibit at GDC is sort of a small video game museum, with displays containing an Atari 2600, a Sega Dreamcast, a Nintendo Game Boy, and other noteworthy game devices from over the decades. 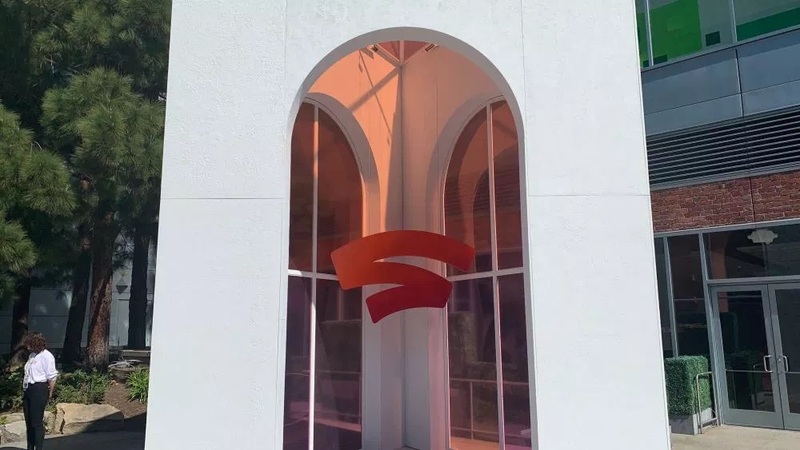 The exhibit also has numerous copies of a squished S logo, as seen above. A Google representative confirmed to Variety that the logo is for whatever the company is announcing tomorrow, but they declined to confirm if it was an S.
Kotaku reports that the streaming service will apparently be playable on "any hardware," including PCs, Macs, phones, TVs, and more. Allegedly, you'll be able to play games on a computer or Chromecast using an Xbox controller, and the company will unveil its own controller. A patent for a Google-made game controller made the rounds recently, which could be indicative of what we'll see tomorrow. The report also claims Google has more ambitions plans than just streaming games. There could be a feature where if you see a Twitch streamer playing a game, you could open the title on Google's service and instantly join the streamer's game/server. This would obviously be on a per-game basis, and the streamer would probably have to opt-in, but it's an interesting concept. YouTube integration is also likely, with one idea being the ability to lookup a tutorial video for your exact position in a game.